WJBO thinks it is all well and good to recognize famous Kansans, but wonders, aren't there others to be recognized, as well? 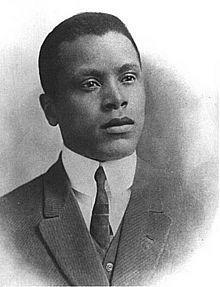 Who recognizes Oscar Micheaux, the most successful African-American filmmaker who haled from Great Bend, Kansas. If people really understood the prairie and plains states, they'd know that such culling goes against our grain. After all, in the grain business everybody's wheat is judged in quality--weight, moisture content and so on--but then it all goes into the same elevator. Fame and pretension aren't virtues for a lot of us. Still, I posed the question of top 10 prairie/plains people to my friends down at the Here, Kansas, Co-op. "Don't do it, William," said Claude Anderson. "I remember when we used to argue whose bull was best. Then we realized it was all bull." "You'll just stir us up, William," said Mabel Beemer, Here’s top gardener. "Remember, there are beautiful constellations, but it takes all the stars to make the night sky." "And darkness, too," said Elmer Peterson, of the Drive-thru Pharmacy and Car Wash. "J.R. Brinkley, goat gland doctor, did more to affect communications and medical licensing than any other American. But he shouldn't make a list." "Just make your lists," I said. I gave Elmer, Claude, Mabel, Barney Barnhill and Iola Humboldt pencils and paper and a sample list that included luminaries like Eisenhower, Psychiatrist Karl Menninger, Public Health Doctor Crumbine, Writers Gordon Parks and William Allen White, Literary Character Dorothy, humorists like Will Rogers, Aviators Cessna and Earhart (builder and flyer), and Father of Basketball James Naismith. When I returned to the Co-op to pick up my lists, I was met by silence. I took each piece of paper, ready to tabulate names. Instead, I learned a little history myself. Because there were no names. There were kinds of people: Farmer--who feeds you. Rancher--who raises your animals. Educator‑‑who made a difference in your life. Athlete--who celebrates the physical life with grace and discipline. Artist/writer--who interprets, criticizes and expands the culture. Journalist--who keeps you informed. Business person--who keeps you in goods and services. Doctor--who keeps you healthy. Politician--who governs for you. Fighter for Truth Justice and the American Way‑‑from Superman (a Kansan) to law enforcement, to the judge and the jury. Spiritual leader--whoever helps you attend to the heart and soul. "This is eleven," I said, disgruntled. "You people can't even count." But they said they didn't care how many. "Ten," they said, "is an arbitrary number, from somebody who wanted an arbitrary list." "Okay, I get your lesson," I said. "But if you're going by categories, don't leave out Future Citizens. They'll reap the rewards of your insistence that community is as important as individuals." Folks, if we only had a Top 10 to look to, we'd never have built a state with citizens like Here, Kansans, whose goal is to make sure we are all significant out here on the prairie and plains. Over 100 years ago, in 1917, the premier journalist of Kansas, William Allen White, took a trip to Europe. Along with Henry J. Allen, editor of the Wichita Beacon, who would become the next Governor of the Sunflower State, White was part of a Red Cross inspection team, this in the summer after the United States entered World War I, on April 6, 1917.